When Hurricane Maria hit Puerto Rico on September 20, Professor Jodie Roure, who teaches Latin American Studies at John Jay and is an ACLU fellow in Puerto Rico, was on the island with her two children. Roure, who has done extensive human rights and domestic violence prevention work throughout the Americas, remembers firsthand the scale of devastation that quickly followed. Upon returning to the United States, Roure assembled her own medical relief effort with over 25 doctors and nurses to fly to Puerto Rico to provide humanitarian aid. They traveled through some of the hardest hit regions of Puerto Rico over 18 days and had such a far-reaching impact that Roure was invited to testify before Congress as well as present at the Library of Congress about her work. 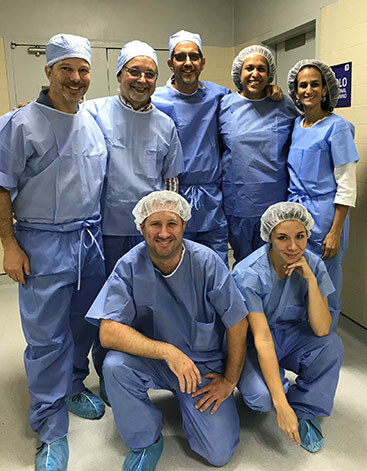 Roure has also received an award from the Puerto Rico College of Surgeons/Doctors in addition to being honored as a "hero without a cape" by the American Medical Student Association at the University of Puerto Rico at Rio Piedras. The devastation in Puerto Rico was hitting close to home at John Jay: several of Roure’s students, many of whom were unable to reach to their loved ones, were coming to her, distressed. With the assistance of Gabriela Ramirez-Vargas, assistant director of the Department of Latin American and Latina/o Studies, and students Melanie Monroy and Magdalena Oropeza, Roure contacted her network of media, legal, and human rights contacts and began assembling a team. She gained the support of Attorney Betty Lugo, former President of the Puerto Rican Bar Association, as well as Michelle Leung from VICE News, who helped secure JetBlue flights that allowed Roure’s team to take $100,000 worth of surgical supplies to and from Puerto Rico. The group became known as Doctors for Maria Relief. Her approach quickly gained her the trust of both the Puerto Rican government and community organizations. In New York, Gabriela Ramirez-Vargas received daily Facebook requests for aid that came from hospitals and clinics on the island that had gotten wind of the relief effort. In Puerto Rico, Roure encountered several challenges, including an inability to reach some of the places where need was highest. “A trip that should take 2 hours was taking us 6 to 8 hours to make,” she said. There were other unanticipated obstacles. 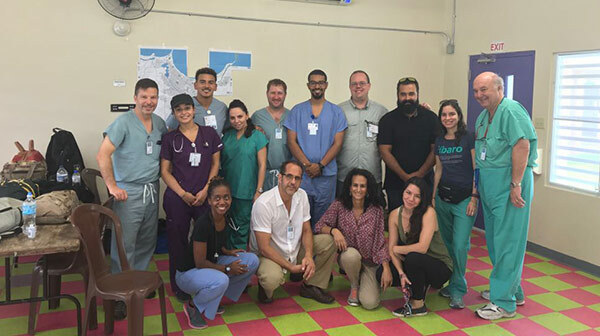 Orlando Sola, one of the physicians on the trip, found that the devastation had created dire medical need among those with easily manageable conditions. Those who suffered from chronic illness like asthma or diabetes suddenly found themselves in dire straits when unable to access their medicine because of a lack of refrigeration or because their local health center was indefinitely closed. Since Roure returned from Puerto Rico, she has been relentlessly spreading awareness about the current state of the island. She and her team launched a website designed to help other groups make similar relief efforts and identify the current need. Roure also emphasizes that the hurricane affected not only Puerto Ricans but thousands of other foreign nationals who live on the island, and that the issue should be understood as a global one.